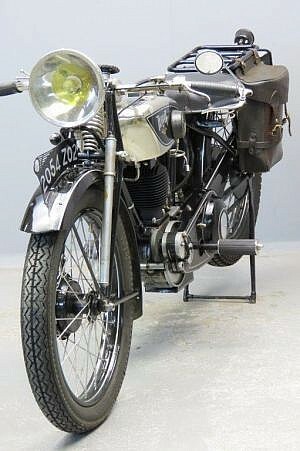 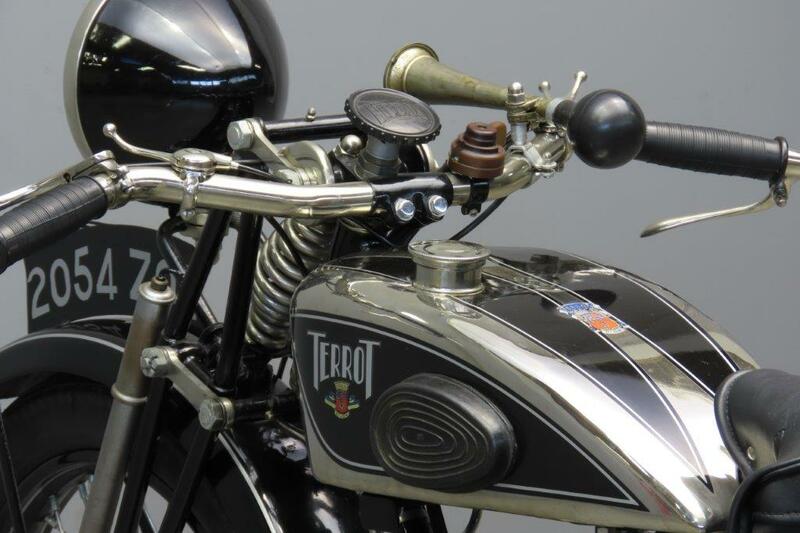 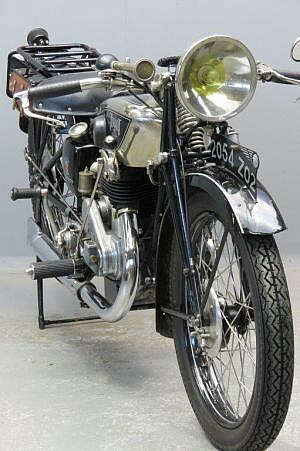 After acquiring license to the Magnat-Debon name in 1928, Terrot became the leading French manufacturer of two wheeled vehicles. 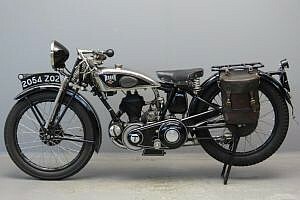 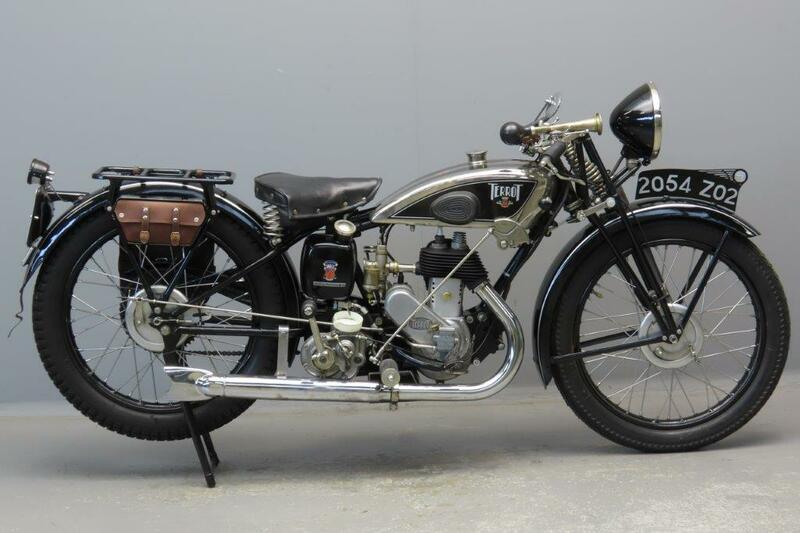 Through the thirties an extensive range of models was marketed, from a humble 100 cc single speed “Velomoteur” to a sturdy 750 cc side valve V-twin. 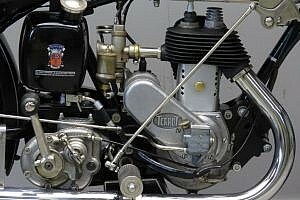 This 225 cc side valve was one of the popular models in the range: it was relatively light in weight, economical to ride and it could reach a practical top speed of about 80 km/h. 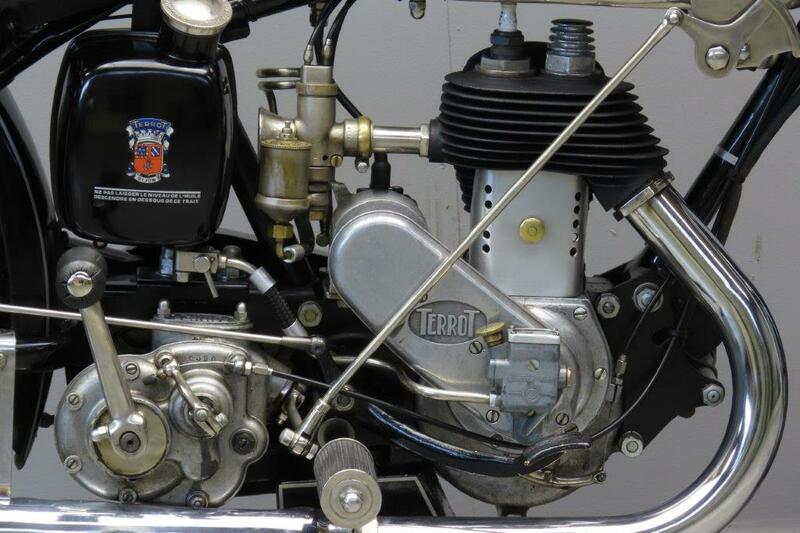 The reliable engine of Terrot’s own manufacture has a configuration of 59×82 mm and is fed by a Gurtner carburettor. 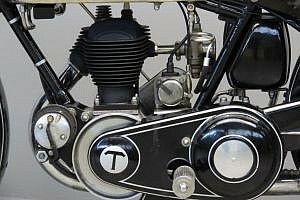 The machine has a chromium tank with nicely finished top and side panels and a three speed, hand change gearbox. There is full electric lighting on board, generated by a Soubitez dynamo that is driven from an external flywheel, which is a nice detail on this well-sorted older restoration. 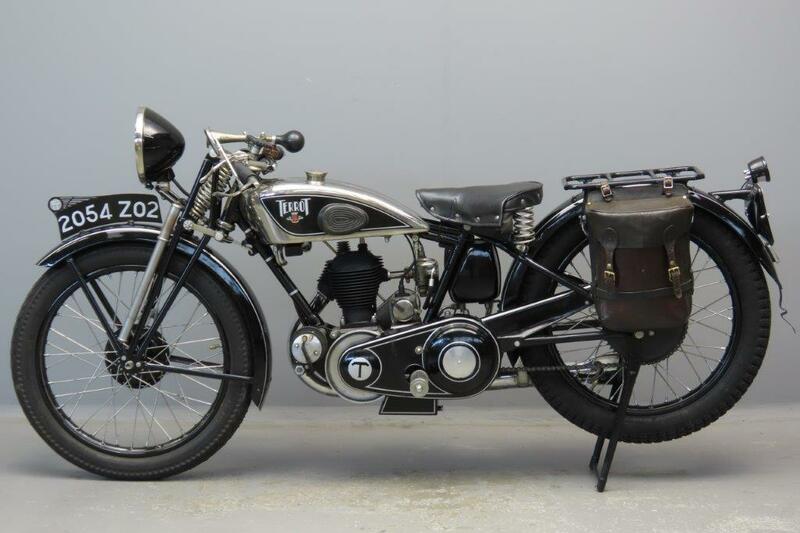 This practical post vintage motorcycle has a current Dutch registration and comes with authentic leather bag, steering damper, tyre pump and bulb horn. The rear view mirror was standard equipment on most Terrot models.